A while ago I posted a question (http://forums.sbo.sailboatowners.com/showthread.php?t=14860) dealing with rail mounted solar lights. I decided to go with lights from eMarine Solar (http://emarinesolar.com/solar-lights...ail-lights.php) because I'm not too thrilled with having my boat look like a tiki bar and I figured that something built for the marine environment would last a lot longer than the typical garden variety light and would pay for itself in the long haul. 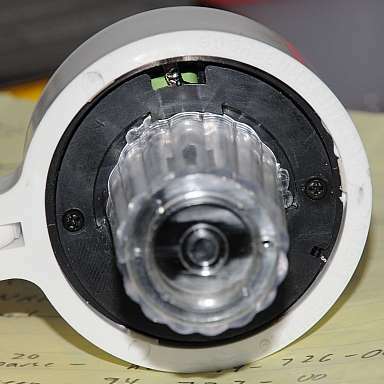 You're using soft-iron (not stainless steel) screws to hold the light dome retaining ring on. 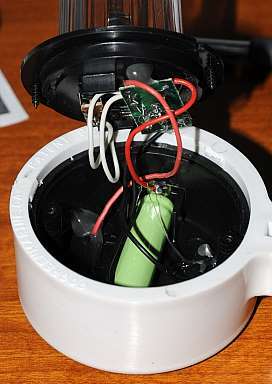 There's absolutely no attempt made to seal the battery or the electronics from external water sources. There are 2 holes (one large, one small) in the retaining ring which would allow large amount of water in from the underside. I don't know what your definition of "marine" is, but as a cruiser with over 40,000 miles under my keel, I can assure you that there is nothing marine about this and it will fail very quickly. So, save your money and don't order this "marine grade" junk. I also attached 2 images showing the construction. Don't you love the one where you can see the battery from underneath?